You can learn how to make more money with your business, books, products or services by reading What Is Social Media Today: Get Ready to Win the Game of Social Media. Get Ready to Win the Game of Social Media is the first of my series of books about social media marketing. The second, Keywords, Hashtags and You, Oh My! will follow in 2017. Get Ready to Win the Game of Social Media reveals the psychological process you go through when learning how to market your business online effectively. “Although all my previous books covered natural healing, my sixth book was born out of the desire to help people overcome their fear of social media. 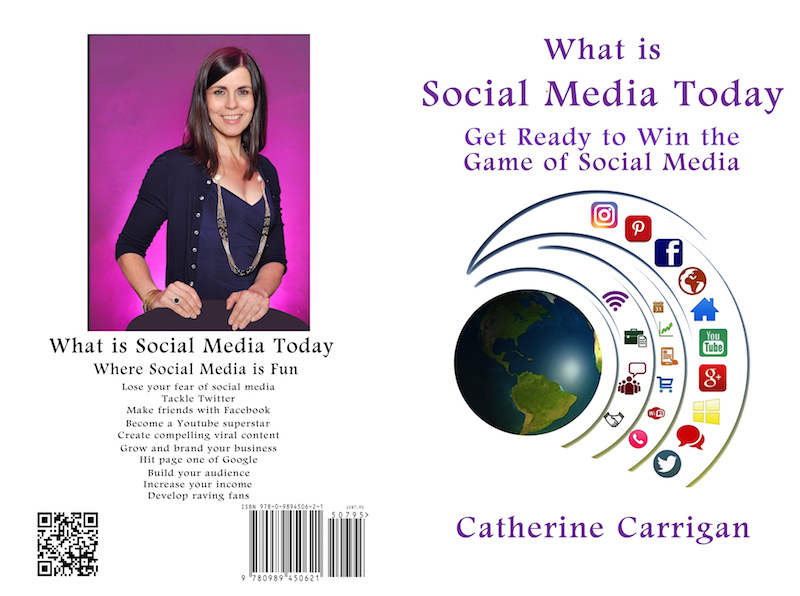 “Get Ready to Win the Game of Social Media distills my experience at www.whatissocialmediatoday.com teaching entrepreneurs, authorpreneurs and solopreneurs how to make more money by learning how to develop their digital social signature,” Catherine Carrigan says. “As everybody knows, I am incorrigibly helpful. “During a break at a writer’s conference in November 2015, I was showing a fellow author how to increase their following on Twitter,” Catherine Carrigan recalls. “Rama convinced me to start www.whatissocialmediatoday.com and we began teaching together in July 2016. What If You’re Not a Geek? Why Do You Need a Social Network? What Happens If You Do Nothing in the Social Media? Want to Learn More About How to Win the Game of Social Media? Read Get Ready to Win the Game of Social Media and find out how to become a social media genius! “Back in 2012 when I published my second book and first Amazon No. 1 bestseller, What Is Healing? Awaken Your Intuitive Power for Health and Happiness, the only social media presence I had was my LinkedIn profile,” Catherine Carrigan recalls. “The idea of marketing through social media in addition to running my business as a medical intuitive healer and writing books seemed like it might be the straw that broke the camel’s back – just too much to do. “However, I saw countless highly talented friends lose their business because they refused to learn how to market through the social media. “I witnessed countless authors experience tremendous disappointment when they sold so few books because they would not take the time to learn social media marketing. “I love what I do and want my work a medical intuitive healer to reach a worldwide audience, so I determined to develop the mindset to Win the Game of Social Media. “Now Ramajon Cogan is my partner at www.whatissocialmediatoday.com and we love teaching people this process. In addition to the content explaining how to develop your mindset to Win the Game of Social Media, in the back of the book you will find a coupon for $500 off your next program at www.whatissocialmediatoday.com. Sign up to learn through one-on-one sessions and video conferences. Ramajon Cogan and I begin by analyzing your current social media status and lead you by the hand to greater and greater success. “When I published What Is Healing? Awaken Your Intuitive Power for Health and Happiness, I didn’t even have a Facebook profile,” Catherine Carrigan says. The average Klout score clocks in at 40. Those who have a Klout score over 53 are in the top 5 percent of social media users. Read Get Ready to Win the Game of Social Media to learn how to connect to the people who need your business, products, books and services. 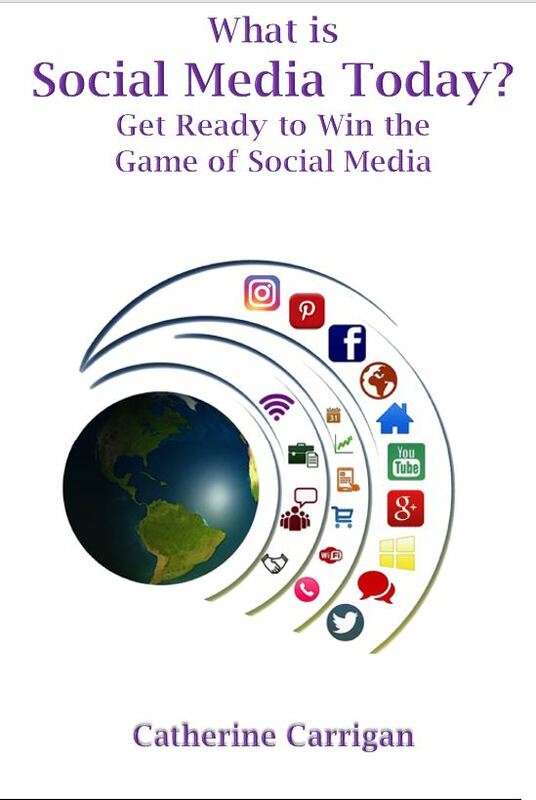 You can purchase the paperback version of Get Ready to Win the Game of Social Media or download the ebook version at this link. “In my work as a medical intuitive healer and in medical intuitive readings, I frequently identify and clear beliefs that are holding people back, including beliefs about money, business and success,” Catherine Carrigan says. “Get Ready to Win the Game of Social Media is a natural extension of my belief-clearing work. “If you want to be successful in business today, you must learn to wrap your head around how to Win the Game of Social Media. Catherine is the author of four Amazon No. 1 best selling books: What Is Healing? Awaken Your Intuitive Power for Health and Happiness, Unlimited Energy Now, Banish the Blues Now and Unlimited Intuition Now. Her first book, Healing Depression: A Holistic Guide, was the best-selling book of the original publisher Heartsfire Books and went on to be published in Chinese.